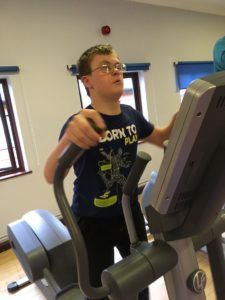 There were food, drink and fitness activities galore going on across Derwen College for Health & Nutrition Week from 11th-17th March. 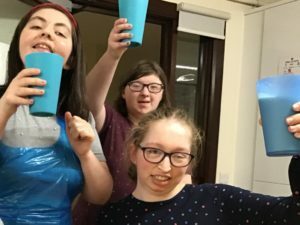 The Gobowen residential and day college for young people with learning difficulties and disabilities focused on healthy eating and healthy lifestyles, and the importance of drinking plenty of water. Staff and students looked to ‘reinforce, focus and energise’ the healthy message with a range of activities across the college. 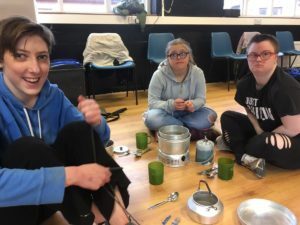 Students practised making healthy choices as part of their Independence and Wellbeing, in their residences, with the college’s dedicated Sport and Leisure Activity Makers (SLAMs), in their learning pathways, and as part of Duke of Edinburgh’s Awards practice. 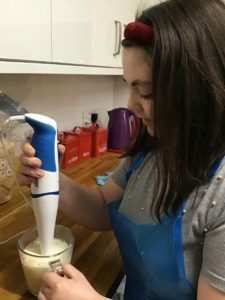 Students made fruit smoothies for healthy snacks, learned to create nutritious pasta dishes in readiness for Duke of Edinburgh’s Awards expeditions and ensured they were well hydrated in wellbeing sessions in the gym. They also created a Nutrition and Hydration board in the Student Union highlighting information regarding a nutritious, healthy lifestyle. 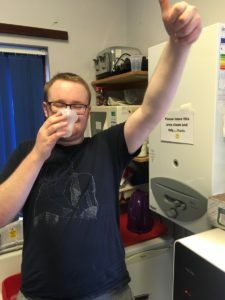 Helen Owen, Independence, Health and Wellbeing Manager, said that she was pleased with how the college embraced Nutrition and Hydration Week. She said: “We work hard all year around to reinforce the message of healthy eating, activity and hydration, so it was nice to show some of our work in practice this week. The college is lucky to have dedicated Sports and Activity Makers to organise healthy activities for students’ free time. We have also introduced a student-led snack bar in the Student Union which offers hot drinks, water and healthy option snacks.